Father’s Day is Sunday, June 16 this year, so if you haven’t mailed a gift to grandpa, or purchased a gift for dad then you need to start thinking about it. Keep it budget-friendly though and get them something they can put to good use, like a gift card to their favorite store or restaurant. 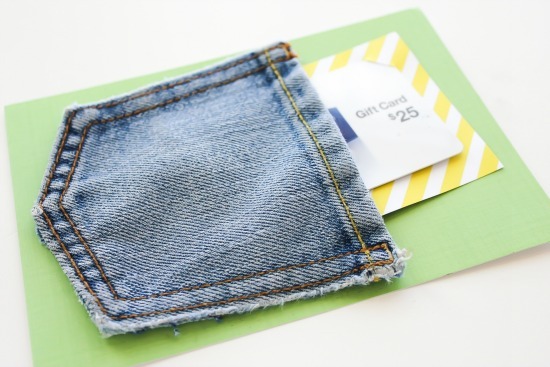 Here is a simple gift card holder you can make to make their gift card special. 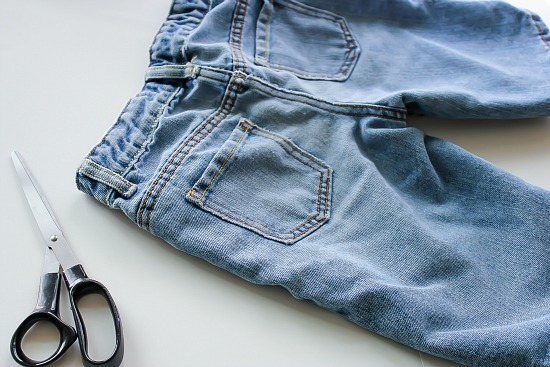 With a pair of scissors, cut the pocket out of an old pair of denim jeans. Note: don’t try to unpick the stitches or you’ll lose that lovely color of the stitching on the outside as they fall out. 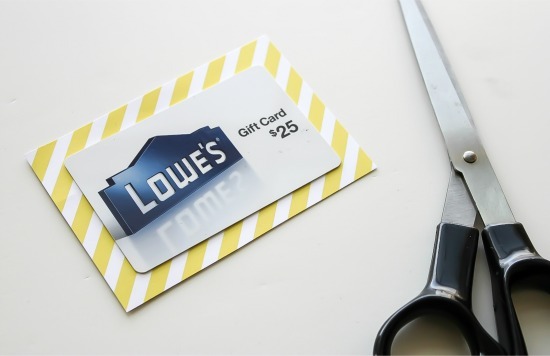 Cut a piece of card stock a little larger than a gift card. Using the X-ACTO knife cut two slits on the card stock to hold the gift card in place. 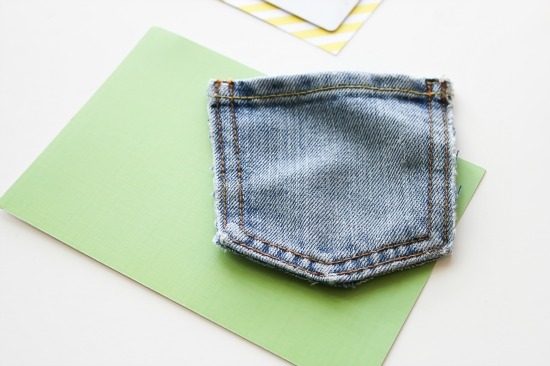 Cut a larger piece of card stock in the second color so that it is larger than the denim pocket. 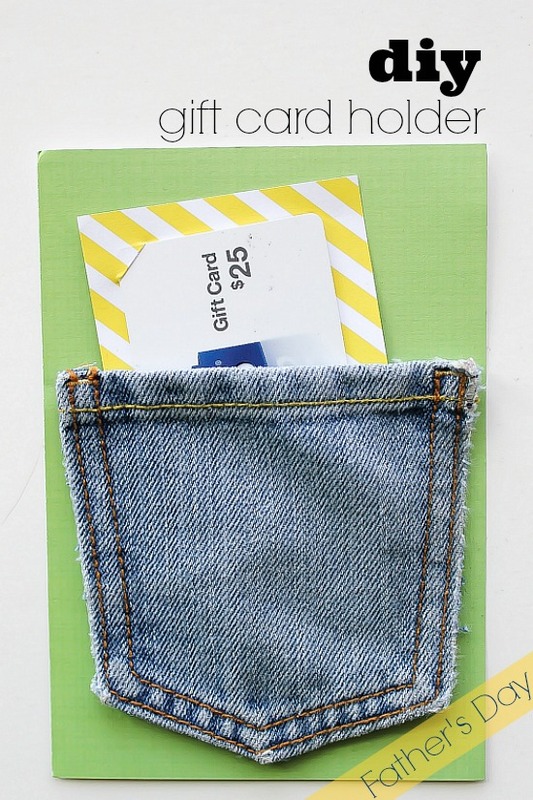 Using a hot glue gun, attach the denim pocket to the piece of card. 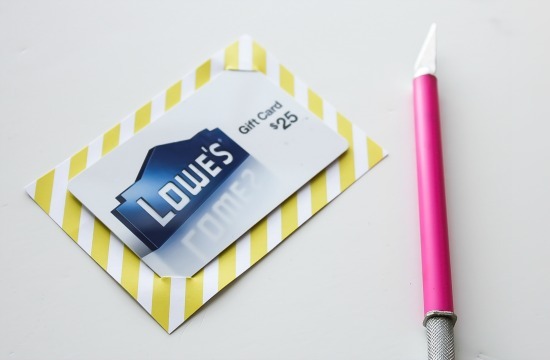 Place your gift card into the pocket and you are done! I hope all of the dad’s, grandpa’s and great grandpa’s have an amazing Father’s Day.